As PlayBook owners patiently wait for the promised Android App Player to release, RIM has decided to drop more tidbits on the app in the meantime. Unfortunately, these are probably words that PlayBook users will not be too happy to hear. According to thinq.co.uk, the Android App Player will have compatibility limitations with some Android software. RIM engineers at Droidcon in Romania explained that certain key features of Android will not work with the PlayBook, including Live Wallpaper, Session Initiation Protocol (SIP) VoIP, apps with widgets, apps tied to Google Maps, billing services and text-to-speech services to name a few. 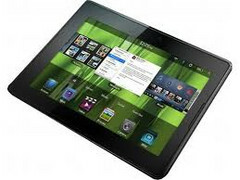 Whether or not RIM will eventually improve its Android App Player to support such functions in the future is unknown, but don’t expect a 100% compatible Android layer for the PlayBook upon release. The Android App Player is expected to launch later this year as part of the massive PlayBook 2.0 update. The tablet itself is currently selling at reduced prices in the U.S. due to large stock.